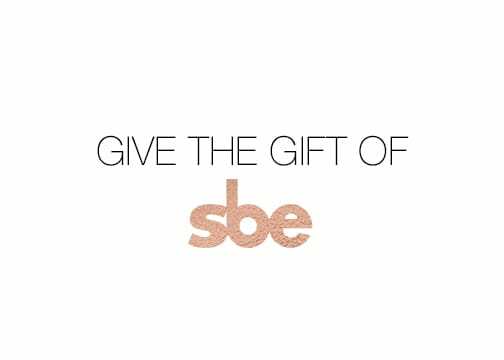 Give the Gift of Luxury and Style with an sbe Gift Card! Fine Print: Gift Cards must be present at the time of redemption and are redeemable at sbe venues nationwide except: The Abbey, Double Barrel Roadhouse, Hyde AmericanAirlines Arena, Hyde Bellagio, Hyde Lounge at Staples Center, hotel deposits and charges at the SLS Beverly Hills, Altitude, Ciel Spa, The Bazaar by José Andrés and Tres at SLS Beverly Hills, Umami Burger Burbank, Umami Burger Studio City, Umami Burger Irvine Spectrum, Umami Burger LAX, and all 800 Degrees restaurants. Gift cards are not yet redeemable at formerly Morgans Hotel Group properties (Delano, Mondrian, Hudson, Clift, St Martins Lane, Sanderson, 10 Karaköy). For further questions please email giftcards@sbe.com or call (866) 270-1064.